[PC/Steam] 30 days boosters : credits, affinity, resources, resources drop // Fast delivery! 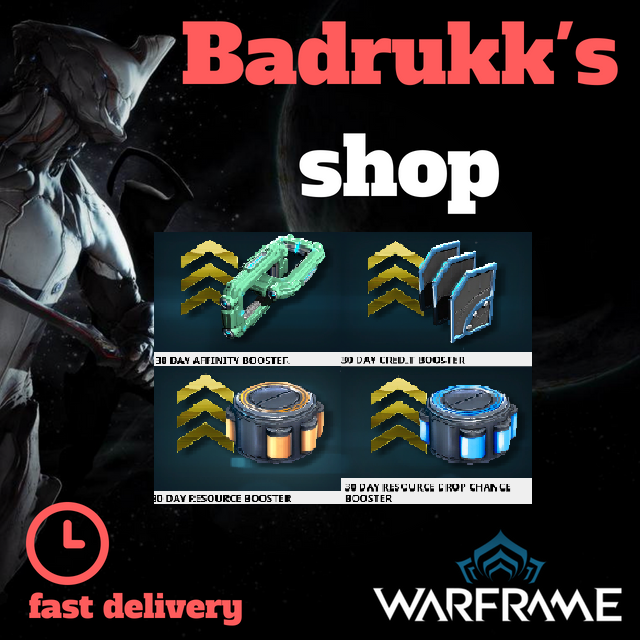 Welcome to Badrukk`s Warframe shop! - Message me in private message what boosters combination you need. - Message me what type of booster you want through odealo private message system.